BANGKOK — Australian Prime Minister Scott Morrison has urged Thailand to stop the extradition to Bahrain of a detained soccer player who has refugee status in Australia, his office said Tuesday. 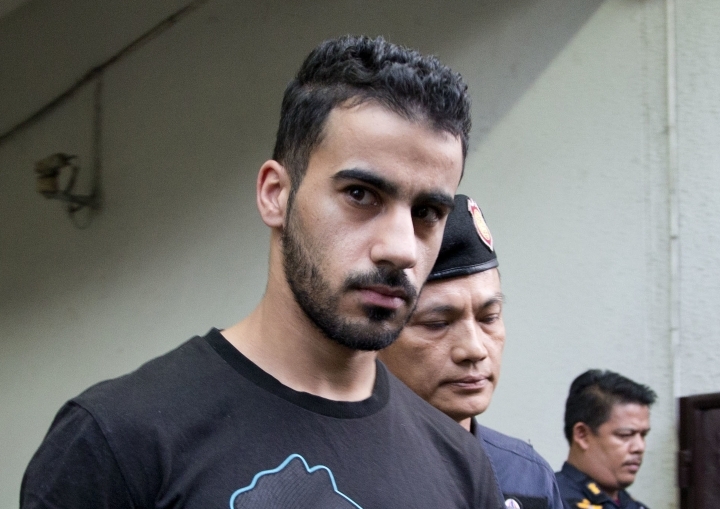 In a letter to Thai Prime Minister Prayuth Chan-ocha, Morrison emphasized that Hakeem al-Araibi's case was an important matter to him personally, as well as to the Australian government and Australian people, his office said. The letter was reported earlier by The Sydney Morning Herald newspaper. Thai foreign ministry spokeswoman Busadee Santipitaks said Tuesday that the official extradition request was received from Bahrain and forwarded to Thai prosecutors. Thailand's attorney general's office received the extradition request Monday and is expected to decide within a week whether to proceed with the extradition case, said Chatchom Akapin, director general of the international affairs department. Chatchom said Thailand would not extradite al-Araibi "if the sought extradition is political." "If it is, then the request must be denied," he said. "Thai officials have to follow the law in every aspect. However, Thailand has good relations with Bahrain and FIFA," he said, referring to soccer's world governing body. "How can we find a solution? I understand everyone's concerns." The Asian Football Confederation on Tuesday followed FIFA and the International Olympic Committee in asking for al-Araibi's release. The AFC, led by Sheikh Salman Bin Ibrahim Al-Khalifa, a member of Bahrain's royal family, had faced criticism for not calling for al-Araibi's freedom. Al-Araibi said he was blindfolded and had his legs beaten while he was held in Bahrain in 2012. He said he believed he was targeted for arrest because of his Shiite faith and because his brother was politically active. Bahrain has a Shiite majority but is ruled by a Sunni monarchy, and has a reputation for harsh repression since its failed "Arab Spring" uprising in 2011. Bahrain's interior minister issued a statement Tuesday asserting that the country has a legitimate claim in asking for al-Araibi's extradition and accusing critics of its justice system of interfering in the country's internal affairs. "Those raising unfounded doubts about the integrity and independence of the kingdom's judicial system are not only interfering, but also attempting to influence the course of justice," the statement said. It said al-Araibi was convicted of participating in a "terrorism" case involving "an arson attack, possession of inflammable bombs and causing damage to public and private property."